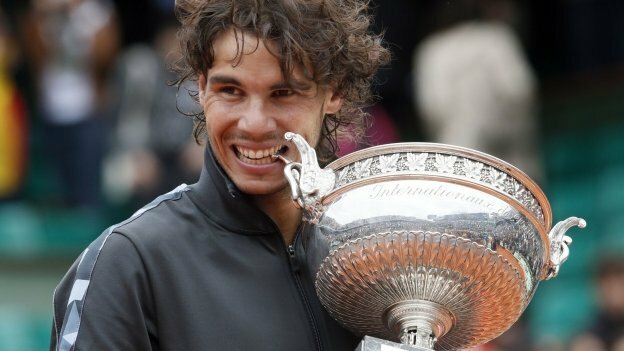 Rafa Nadal’s dominance at Roland Garros has seen the sensational Spaniard notch eight French Open victories in the last nine years. But the left-handed warrior will head into the second Grand Slam of 2014 having lost to Novak Djokovic in the Italian Open and Rafa Nadal will be attempting to regain his supremacy on the clay when the tournament gets under way on Sunday. Serbian hotshot Djokovic has never managed to get his hands on the coveted French Open trophy, and has incidentally only ever made the final once, which was two years ago, but the manner in which he dispatched Rafa Nadal in Rome last week suggests that this could be his best chance of landing the prize and duly notching his seventh Grand Slam. However, Nadal’s record is incomparable, so it’s no surprise to see the 27-year-old the narrow favourite with bookmakers as the 6/4 favourite to lift his ninth French Open crown, but following that success last week, Djokovic is not far behind Nadal and the Serb is a best-priced 8/5, with the rest of the field a long way back. Stanislas Wawrinka has been in the form of his life of late and the elegant Swiss star will aim to use his epic win in the Australian Open as a catalyst for more success on the big stage, whilst 2009 champion, Roger Federer, will look to propel himself back to the head of the sport and can never be under-estimated but he has often come unstuck on clay and may find things tough again. David Ferrer produced some phenomenal tennis 12 months ago to reach the final in Paris but he was eventually vanquished by Nadal. However, the diminutive Spanish challenger could be a darkhorse once again whilst Andy Murray continues to come up short on clay, with the semi-final in 2011 the Scot’s best effort at Roland Garros. Whilst Nadal has been a dominant force in the men’s draw for pretty much a decade, the women’s tournament has been significantly more wide open with seven different winners being crowned in each of the last seven years but last year’s victor, Serena Williams, who was bagging her second title, is the favourite to retain her crown. However, the powerful American will face an army of talents throughout the tournament and Maria Sharapova, who won this event in 2012, and was runner-up last year to the aforementioned Williams, will be a primary challenger and she is next in the betting at 5/1, whilst 2011 winner Li Na is a 6/1 shot to etch her name into the coveted roll of honour. Victoria Azarenka will be one huge name not taking her chance in the blue riband event as she has pulled out after picking up a foot injury, but the likes of Simona Halep and Ana Ivanovic are just another brace of top class players aiming to sparkle in what is one of the most open events of the entire tennis calendar for the ladies but as far as the men are concerned, it is a two horse race between Nadal and Djokovic with the former taken to continue his supremacy on clay.